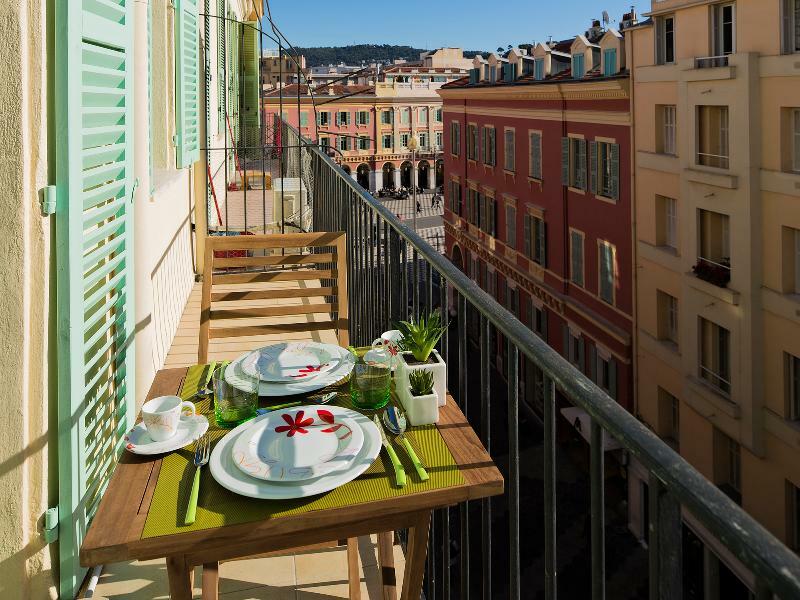 Typical « Nice style » building, located in the heart of the pedestrian zone, the prestigious 'Carré d'Or' Superb studio, very well positioned, at 25 m from Place Massena, 200 m from the beach, the Promenade des Anglais and the old town (Vieux-Nice). Facing south and bathed in sunshine, on 4th floor with elevator, air-conditioned, fully renovated in a contemporary style giving a cosy and spacious atmosphere. We took care of all details in interior design for your pleasure, from the seats sofa and bed, very comfortable, to all the equipment like TV set with WiFi connexion, the shower-room and the kitchen ! IMPORTANT ! The total rate mentioned for each period is « All inclusive » for 1 week/2 people ...Typical « Nice style » building, located in the heart of the pedestrian zone, the prestigious 'Carré d'Or' Superb studio, very well positioned, at 25 m from Place Massena, 200 m from the beach, the Promenade des Anglais and the old town (Vieux-Nice). May I suggest you our 2-room apartment, just next door, decorated in the same modern spirit, offering the same balcony and view ! http://www.flipkey.com/nice-condo-rentals/p689253/ You will be able to choose the most suitable space for you !! 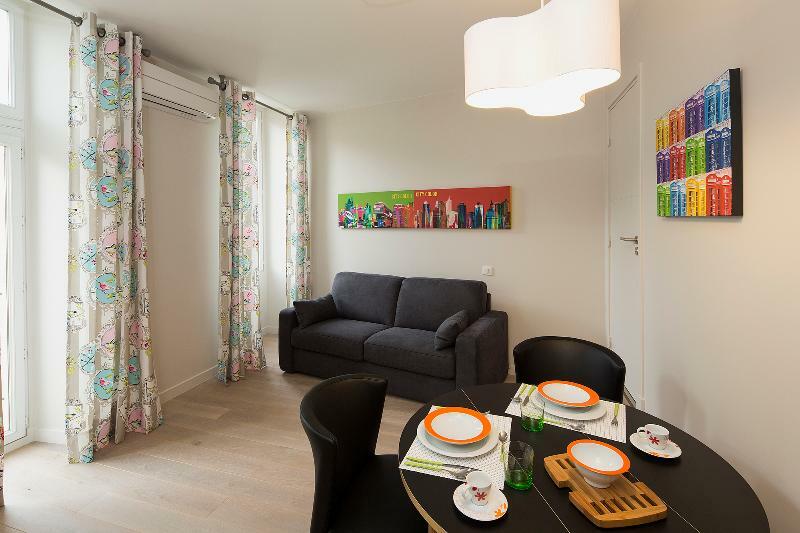 The old town (Vieux-Nice), the Promenade des Anglais, the beach… Just around the building 2, rue Massena, you will have a wide choice of restaurants, shops and department stores. 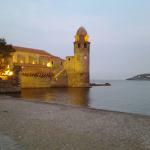 Museums and many attractive places of the city are only a few minutes away on foot, by tracked tramway or by bus. From Massena square, walk to the old town 'Vieux-Nice' to enjoy this typical area. You will see the Nice Opera House and the famous chocolate maker 'Auer' (very difficult to resist the temptation !). You stroll through the market on the cours Saleya and along the restaurants. 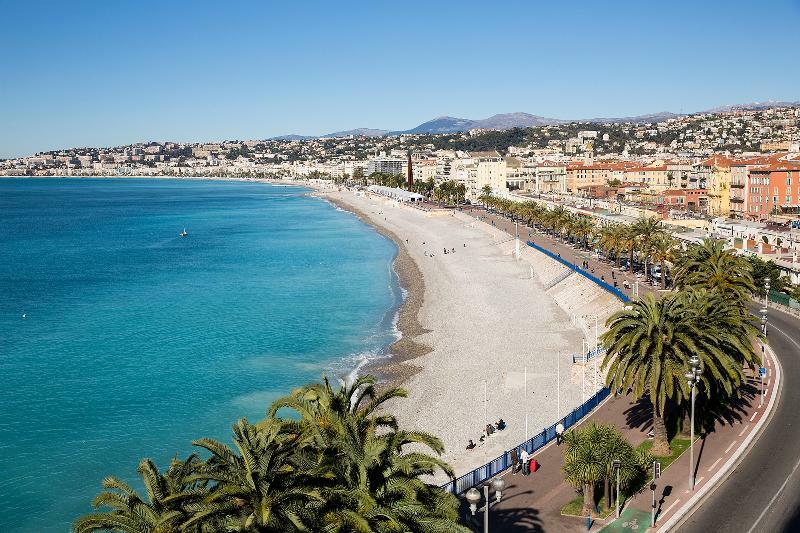 At the end of the cours Saleya, if you take the stairs or the elevator to the Tour Bellanda, you will enjoy a gorgeous view over the old town and the Baie des Anges. Be sure that it will be a very good way to whet your appetite ! !